Beachfront hotel located in Kallithea on the north east coast of Rhodes, the largest of the Dodecanese islands in Greece. Nestled on the edge of Kavourakia Bay, the hotel sits in harmony with the surrounding natural environment and crystal clear Mediterranean waters of this traditional fishing harbour. Refurbished and under the new ownership of IQ Hotels, Lomeniz,with just 69 rooms, the hotel offers a unique fusion of its own authentic Greek hospitality, organic home-grown produce and a dynamic, inspired approach to personalised guest satisfaction. 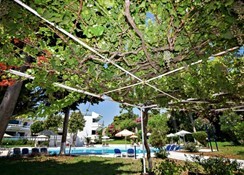 This 3 star hotel is located on the coastline of Rhodes and was established in 1989. It is a short drive away from the Medieval Town of Rhodes. The Hotel has a restaurant, a bar and an outdoor swimming pool. 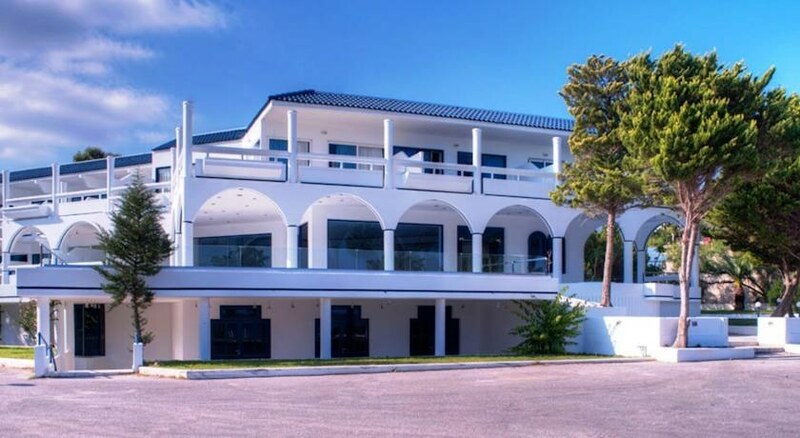 All 69 rooms are equipped with air conditioning. Train station - Not available, Distance(0.0). Place of interest - Medieval Town of Rhodes, Distance(4.5). Exhibition centre - Not available, Distance(0.0). Shopping area - Not available, Distance(0.0). Situated by the beach in Kalithea on the north east coast of Rhodes and 4,5 km from the center of Rhodes city.Facilities and services include a 24 hrs reception, restaurant, lobby bar, outdoor pool, sunbeds and umbrellas by the pool, safe box at the reception (extra charge), room service (limited hours), WiFi access in public areas and parking. The rooms are equipped with air conditioning, telephone, and balcony/terrace. Only our Family rooms have TV and we provide a large screen TV at lobby. ** Please note that some of the above facilities may be closed due to weather / seasonal conditions. 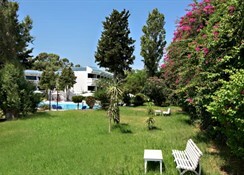 ** Address: Kavourakia Beach, 85100, Kallithea, Rhodes, Greece.